Baba ghanouj is incredibly easy, incredibly delicious, and almost unbelievably healthy. It’s so easy to roast up an eggplant and throw it in the food processor with a few ingredients, but it yields an explosion of flavor. Though it’s possible to switch up the flavor of baba ghanouj by adding cumin or other spices, I decided to leave this as simple as possible. It really allowed the flavor of the roasted eggplant and fresh parsley to shine. Classes start again this afternoon so I was looking for something yummy but healthy to snack on this week while studying, and this is absolutely perfect for that. Since I’m taking a couple of classes held in the evening this year, my schedule is going to be a little different than I’m used to. I’m hoping I can fall into a good cooking groove quickly. My current plan is to use Sunday afternoons to cook up a few snacks or meals that can be utilized throughout the week, such as dips like this baba ghanouj, casseroles, pasta sauces, and fixings for slow cooker meals. We’ll see how it goes. Poke each half of eggplant a few times with a fork. Rub flesh side of egg plant with olive oil and season with kosher salt and freshly cracked black pepper. Place flesh side down on a tinfoil lined baking sheet. Bake 40-50 minutes until very tender. You should be able to easily insert a paring knife and the skin should be wrinkled. Remove from oven and let cool until cool enough to handle. Scoop out flesh into a colander and let excess liquid drain from the eggplant. Place garlic, parsley, tahini, and lemon juice in the food processor. Pulse a few times to chop garlic and parsley. Add eggplant and pulse 10-15 times in one second bursts until mostly smooth. Refrigerate for a few hours to allow flavors to meld. 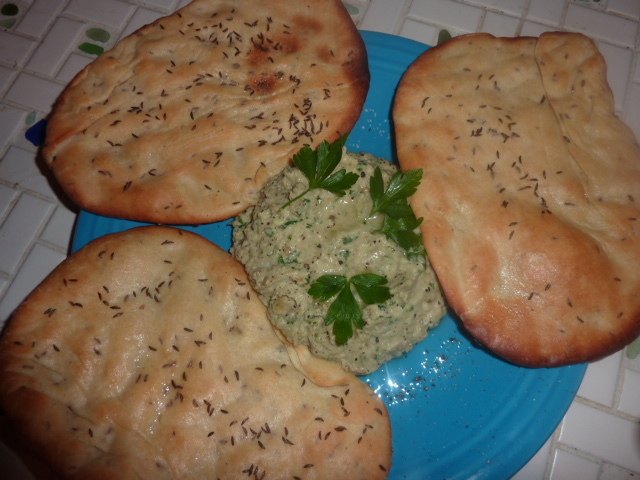 Serve garnished with parsley and naan for dipping. 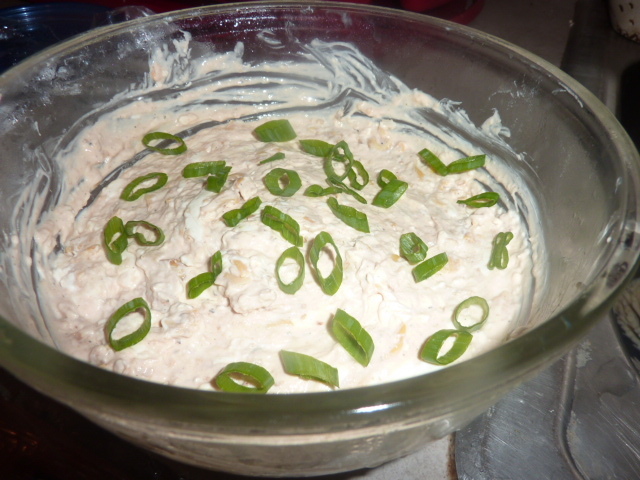 I was asked to bring a few appetizers to Easter this year, so I decided to make a hot dip and a cold dip. Finals are coming up, so I didn’t have a ton of time to be painstakingly making tiny little appetizers. It’s much easier to throw a bunch of stuff into a bowl and mix it together – and often just as tasty. This appetizer was almost sinfully easy – it came together in about five minutes. It was also delicious with the tasty, salty bites of clam against the smoky Worcestershire and cool cream cheese. Combine all ingredients and mix well. Let sit at least 2 hours or overnight. Garnish with scallions and serve cool or at room temperature. It’s the last full week of class, so our legal writing sections were combined to play a super-awesome review came with fabulous prizes(!!!!) and a pot luck. Though I am a big fan of warm cheesy dips, there’s only one microwave in the law school that really works, and I didn’t want to hog it trying to heat something up. 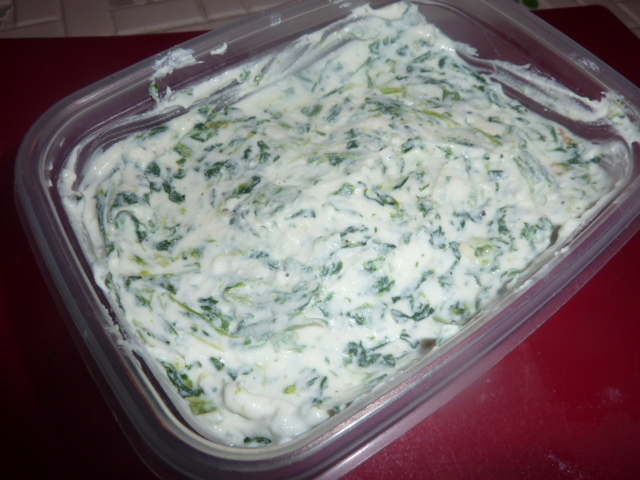 Plus, this dip takes about five minutes to make, which is a bonus when you’re busy trying to finish an assignment. For such a quick, easy dip, this packs a lot of flavor. It is creamy from the ricotta with just a touch of bright citrus from the lemon juice and tang from the Greek yogurt. If you’re strapped for time but want something that makes a big impression, this is a dip you should definitely try! Combine all ingredients in a bowl and mix together thoroughly. Serve chilled. I have always associated pâté with luxury and excess and expense. Though the flavors and texture of this easy pâté are certainly luxurious and the calories are a bit excessive, it’s about as far from expensive as you can get. This recipe makes enough to serve 12 as a hearty appetizer and cost under five dollars. 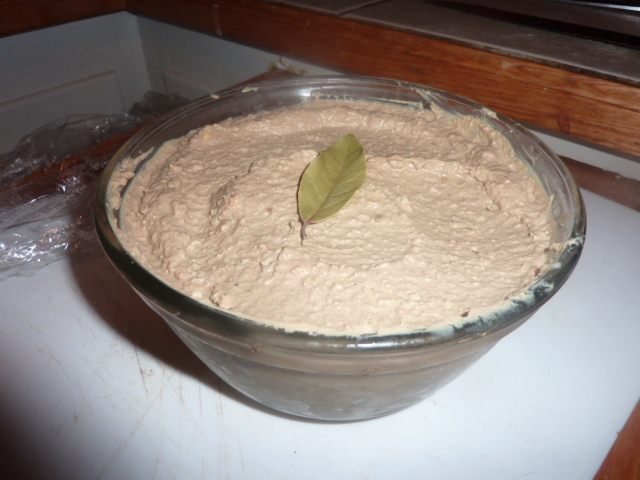 It also turns out that pâté is ridiculously easy to make. Sauté some livers, onion, and garlic, hard boil some eggs, throw everything into a food processor, and viola! – you have pâté. Served with some toast points or crackers, this is a decadently delicious snack or appetizer. Heat 1 tbs. of butter in a large non-stick pan over medium-high. Sauté chicken livers 8-10 minutes until cooked. They will be slightly pink the center. Don’t worry if they begin to crumble or liquid comes out of the livers. Remove all from pan and set aside in a small bowl. Reduce heat to medium. Add onion and garlic to the pan and sauté 8-10 minutes until slightly golden brown. Place onion and garlic in food processor and pulse until very finely chopped. Add chicken livers, butter, hardboiled eggs, salt, pepper, and nutmeg. Pulse until smooth in consistency. Taste for seasonings and adjust as desired. Transfer to a small bowl or mold. Refrigerate overnight to allow flavors to meld. Serve at room temperature with crackers or bread. Keeps up to a week in the refrigerator and 2 weeks in the freezer.